I love my birthday. I always have. It seems like something that should fade over the years for people, you get older and times change and it isn’t something that you take joy in anymore. But, today at 22, I still love my birthday. However, today it lacks the appeal that it has held in past years, I knew today would be difficult but I didn’t realize just how. It’s not as special when you don’t have one of the people who make it most special with you. My dad loved his birthday probably more than I do. He has taught me so much about true joy and what it means. I find now that he’s no longer here with me, it has become something I treasure the most. So if you didn’t catch that, today is my birthday. I’m 22 today. Wow! How did that happen? Life moves so fast and you really never have time to take a breath and catch up, you just have to go with the flow and try not to get battered by the waves. I feel older than my years, I feel like I’ve had more real life training than most people my age, yet I’m not at all prepared for anything life has thrown at me. My 21st year was by far the hardest year I’ve ever experienced. 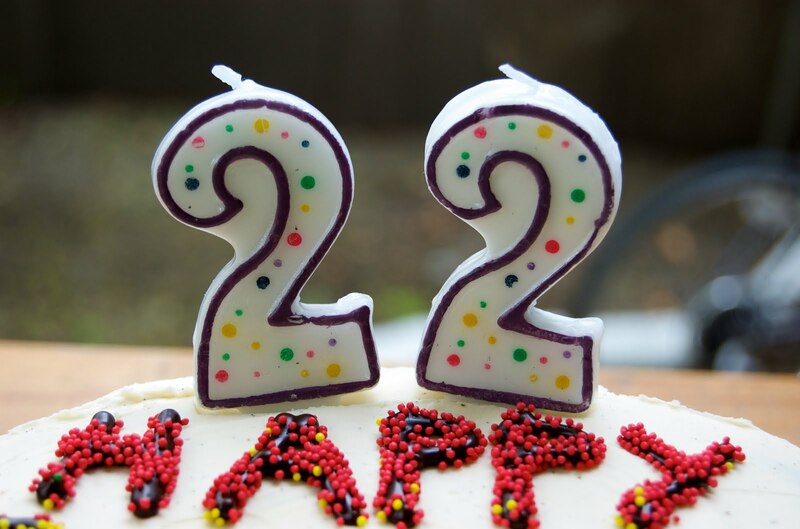 I’ve never experienced grief the way I have this past year, but I’m not really here to write about that today… I feel like 22 is a turning point for me. This will be a year of finding out how to dance with grief, finding out more about myself, loving myself, loving people without stopping to ask if they’re worthy, seeing beauty in all things, finding joy in the little things, loving my body at whatever size it might be, accepting the grace I don’t deserve, loving Jesus, following Him, trusting Him with all things, Knowing that He sees the big picture whereas I only see the right now, believing that He loves me, accepting that His love is enough, accepting that in this time in my life I am single it doesn’t define me or make me worthless, accepting that I can’t change people, living with depression and the constant battle to not let it take over, being a lionhart, being a strong independent woman, and living a life that would make my dad proud. Yeah, that’s what this year is about. So thanks for those of you who are hanging in there with me and loving me despite my unlovable pieces. And most of all thanks be to God for giving me this life, He knows what He’s doing, because I sure don’t and that’s enough. Author littlebitsofme22Posted on March 26, 2014 March 27, 2014 Categories UncategorizedTags birthday, dad, grief, life, living, love, meLeave a comment on Twenty two.